The Nexus Sprint Review is the scaled version of the Sprint Review event from the Scrum framework. The objective of the Nexus Sprint Review is the same as the Sprint Review which it replaces. That is, to review the completed Increment and generate feedback based on new learnings and view points. This will be captured in the Product Backlog. This feedback may take the form of new requirements that have been revealed by inspecting the recently created Increment. It may cause changes to previously created Product Backlog Items. It may lead to items being removed from the Product Backlog if it has now been recognised that these items will not generate the intended value. It is still the responsibility of the Product Owner to manage the Product Backlog and decide which changes will be accepted and what impact these will have to the ordering the other Product Backlog Items it contains. As with a Sprint Review, an effective Nexus Sprint Review should be collaborative session to show the new features and functionality that have been created by all the Scrum Teams in the Nexus during the current Sprint. All members of the Nexus should attend. A Scrum Master. May be needed to facilitate this event. With the number of people and teams involved, the facilitation skills of the Scrum Master will be vital to ensure the event is carried out effectively and can be completed within a reasonable time box without confusion and conflict. Stakeholders with an interest in the product and the functionality added in the current increment will attend to learn about and see what has been created and to give feedback. What is the time box? The Nexus framework suggests that the duration of Nexus events be guided by the length of the corresponding events in the Scrum framework. So for The Nexus Sprint Review the target for the time box would be 4 hours for a 1 month Sprint. Inspection and adaption may lead to this being adjusted over time as required. Depending on the number of teams in the Nexus and the level new functionality being delivered, the time required may vary significantly between Nexuses. The Nexus Sprint Review should be held at a consistent time and place to ensure attendees have a clear expectation of when and where they need to be. The Nexus Sprint Review is one way in which Nexus framework does modify the underlying Scrum framework. Where previously each Development team would conduct a Sprint Review to show the completed increment to stakeholders, now we have a single higher level Nexus Sprint Review. The entire increment will be reviewed during this single event. The Nexus framework does not preclude individual Scrum Teams inside the Nexus from holding Reviews to showcase the functionality that has been created by a specific team. These lower level reviews are not mandated by the Nexus framework in the way that the Nexus Sprint Review is. Remember that Nexus is a framework and inspection and adaption will lead you to develop the practices that will work for you in your unique situation. The Nexus Sprint Review also doesn’t replace the need for the Product Owner to see the Product Backlog Items as they are being developed and becoming “done”. This is a good practice in Nexus just as it is in Scrum. A traditional Scrum style review will likely no longer be suitable to show the work of multiple teams to a likely increased number of interested stakeholders. Scaled Professional Scrum introduces some practices to help run Nexus Sprint Reviews and deal with the additional complexity that comes with potentially larger audiences and increased functionality to show case in the session. I will write more about these in a future post when we come on to look at the 40+ practices that Scaled Professional Scrum introduces alongside the Nexus framework. I have a question about “Who should attend Nexus Sprint Review”. I think it makes sense to have “most suitable representatives of each of the Scrum Team” to capture feedback from Stakeholders. But my understanding from Nexus Guide is all Scrum Teams should participate. What are your thoughts on this? Would it be more accurate to say the following instead? 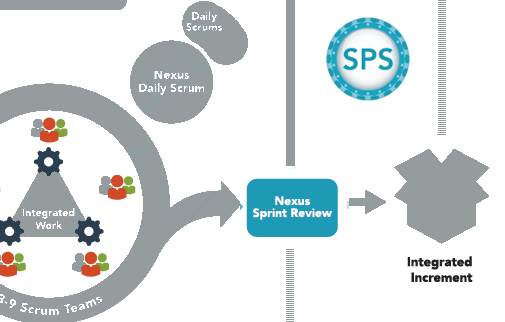 “Nexus Sprint Review should be attended by all Scrum Teams and include all team members. Interesting question. I would agree that all Scrum Teams in the Nexus must attend the Nexus Sprint Review. However, it may not be possible or sensible for ALL members of ALL teams to attend. So for me, appropriate representatives of each team must attend. When I use Nexus this is usually all or most members of each Scrum Team in the Nexus. 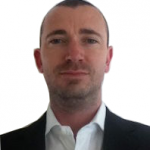 This maximises the opportunity to inspect the Increment and adapt the Product Backlog. Events like this at scale will need special techniques to be successful. Scaled Professional Scrum extends Nexus to introduce some of these. They aren’t covered in the Nexus Guide. Thank you for the response. I just want to clarify the event we are discussing is “Nexus Sprint Review” – not “Nexus Sprint Retrospective”. I do agree with your comment about “all Scrum Teams must attend the Nexus Sprint Retrospective”. My confusion is about “Who should attend Nexus Sprint Review” in Nexus Guide and this article. “All teams should attend and participate Nexus Sprint Review, but events like this at scale will need special techniques to be successful. What do you think? Can you please help clarifying my understanding? Apologies. My comments applied to the Nexus Sprint Review (even though I said Retrospective). I have updated my comment to prevent future confusion. Your additional comment here is valid. You should also re-read my previous comment which explains it as clearly as is possible in this forum. Thank you for the clarification! Your explanation helped me to have a better understanding of Nexus Guide’s statement. Specifically, I misread and mixed the definition of “all teams” and “all members of all teams”. Now, this statement naturally makes sense to me and it aligns with your explanation in the article. Good to hear Tony. Glad I could help.